Now that the website is up and running, it’s time to get to business. (Yay!!!) Today we are going to talk about Money. That’s right, a topic that can make some people (myself included) a little uncomfortable. But it’s an important thing, money is what makes what you’re doing a business not a hobby. 1. It’s not a hobby. Oh….if I could go back and talk to myself when I first started, I could have saved myself a lot of trouble. When I stared my business, I already had my machine (I hadn’t bought it with the purpose of turning it into a business) and I really loved to quilt. So my reasoning was, ‘why not make a little money while I am at it?’. That is “hobby” thinking not “business” thinking. The sad truth is that it took me way too many years to switch the way I viewed my business. 2. There are more costs to this business than just my time. When setting up my pricing, I failed to realize all my business costs. In my ignorance, I was just taking into consideration how much time I was spending on a quilt. I wasn’t taking into consideration the utilities, time spent interacting with the customer, supplies, training etc. In the beginning, I never even realized that I was losing money! 3. Not keeping your invoices organized is a sure way to lose money. Of all the lessons that I learned, this was the one that took me the longest. I am not a naturally organized person. Actually, that might be an understatement…..a truer statement might be, I am disorganized mess. But when it came to invoicing, I felt that I was organized enough. However, when I finally broke down and hired some help, I realized just how much I was frustrating my customers and even losing money. Like I said, these are just a few of the many, many hard lessons I learned. Over the next several weeks, here at the BOMQ, we will be delving into money topics as a part a new blog series called Money Mondays. We will address the lessons above and many, many more! I am looking forward to sharing all my financial mistakes and hopefully help you avoid them in your business. Be sure to check back in next Monday for the first post. If you have some specific questions about money that you would like me to address, please email them to me at businessofmachinequilting@gmail.com. Also, if you want to be sure to not miss a single post in this series, you can subscribe to receive the blog posts via email by clicking here. Cant wait to finish book and move on to next one and maybe some classes. Thanks for this generous gift. You are #1 in my book. Thank you for sharing this. I just bought a 17″ machine with the intention of personal quilting but (with some encouragement from your posts) have decided to look into doing work for others. I definitely need to get past “hobby mentality” and I’m looking forward to your teaching me how to do this! I just found this blog! Thank you for getting this information out there in a “no cost” format. I have had my longarm for just over a year. My plan is to start a longarm business. This blog was perfectly timed for me. Angela, you are wonderful. I’m so glad you are putting all this out there. It’s really helping me to get myself organized and on track to hopefully being successful at this quilting for other people thing. Tonight, I re-wrote my business plan and wrote my first ever operations plan. Thanks so much for everything you are doing with this website. I am already learning so much and am excited to see what you have up your sleeve as you continue to add more content. 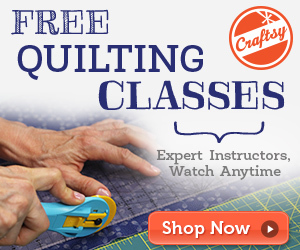 I”m really looking foward to learning how to start my quilting business on the right foot ;-)!! I am so excited to hear what you have to say on this topic. I am hoping to get my business started in February 2014!